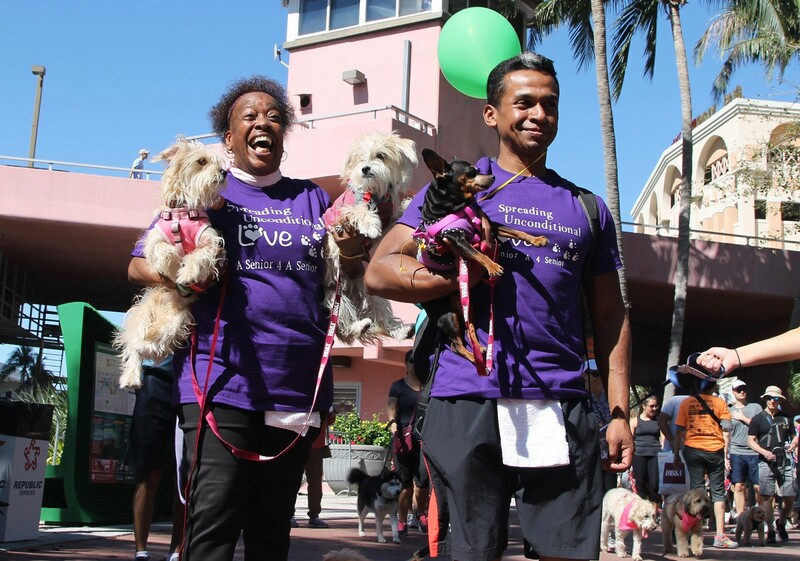 Please join us for the 29th annual Walk for the Animals, a 1.25-mile walk around beautiful Downtown Fort Lauderdale on Saturday, March 2, 2019. The Walk for the Animals is the largest annual fundraiser hosted by the Humane Society of Broward County. There are numerous parking lots and garages within walking distance of Huizenga Plaza. Please view the map below to see all available options. All pets must be on-leash at all times. We highly discourage retractable leashes. Hundreds of volunteers are needed to ensure the Walk's success. Email lfreeman@hsbroward.com to inquire about the various volunteer opportunities available at the Walk.